I’ve always been a heavy IDE user — but for some things, like running tests, I still prefered a terminal. Recently I’ve played around with the in-IDE possibilities for testing and was pretty satisfied with them. Since Symfony ships with a kinda custom testing experience here’s how to setup your IDE to test your Symfony applications with it — and additional features of testing within your IDE. After following the current Testing documentation it’s mandatory to manually run ./bin/phpunit once in your terminal. 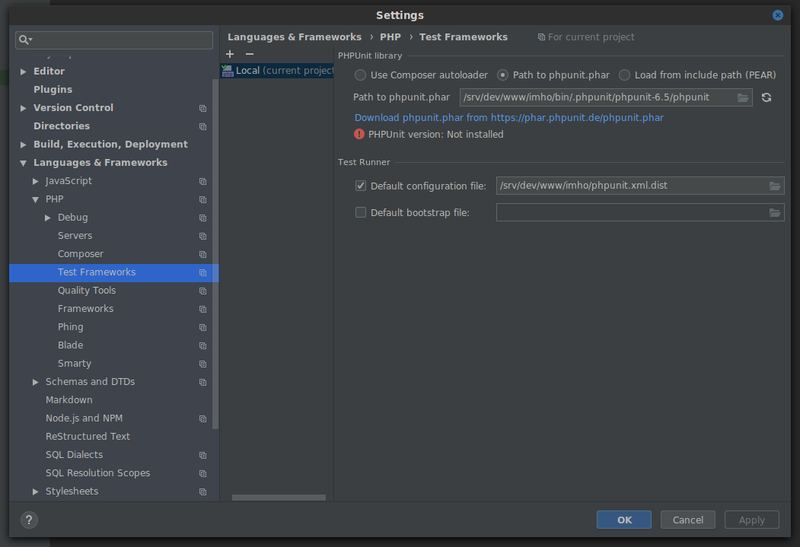 Symfony will install its own instance of PHPUnit within your bin directory which will provide the executable phpunit file for our IDE. After you’ve run this command you’ll see a .phpunit directory within your bin directory. Note: It’s recommended to have a debugger like xdebug installed. In case you're using Ubuntu simply install it with sudo apt install php-xdebug. Now select your interpreter path and the exclamation mark should disappear — meaning you’re now ready to run your tests. You could add configurations for every single test, for an entire test class or whatever you want. For example you could create a configuration which executes all your unit tests but not your functional tests — click on the Edit configurations item within your configurations dropdown at top of your IDE and create a new configuration for your unit tests which points to your unit tests directory. A great test for a great method, nevertheless we’re missing something: we’ve missed to test the path for non-numeric values. In case you’re ashamed of your low coverage and want to hide these stats again simply click on Tools > Hide coverage to make them disappear. Since I’ve acknowledged the importance of tests and started writing them I’ve executed them in a terminal. Throughout the time I figured out that the only arguments I’m sometimes changing are generating a coverage export (with --coverage-clover) and to just execute a single test instead of all of them (with --filter). A big drawback of that was that I always had to re-load my coverage file in case I wanted to see updated code coverage within my IDE which was really annoying. Both of these options are fully covered within my IDE — and I could do even more without having to store a shitload of terminal commands. Clicking on a “Play” icon may doesn’t make you look like a hackerman like typing complex terminal commands would do — but it’s easier and faster. 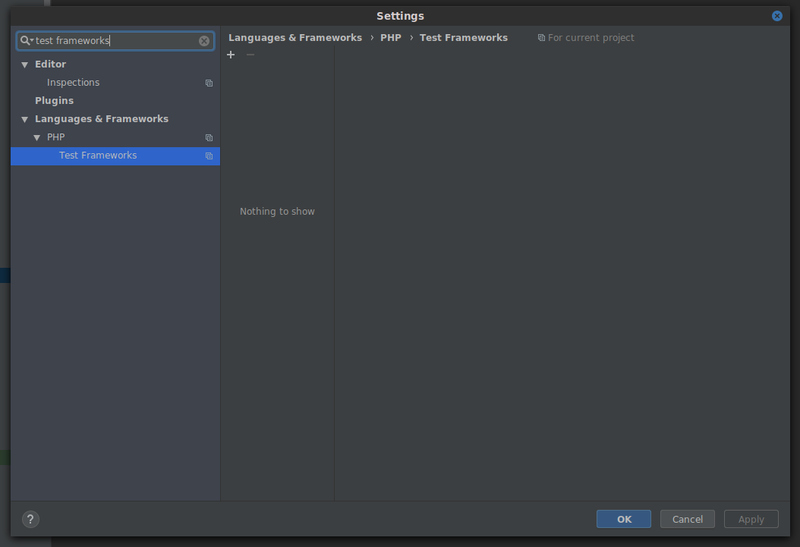 If there are any features regarding testing you’d think should be added to this post (or any drawbacks in your opinion using an IDE for testing instead of a terminal) please let me know in the comments.